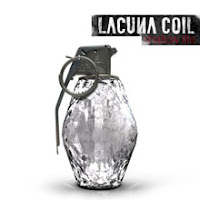 Italy's gothic-metal rockers, Lacuna Coil, come back with "Shallow Life", a long-awaited follow-up to their US breakthrough album, "Karmacode". "Shallow Life" comes across with more of a main-stream vibe than "Karmacode", without losing their classic sound. The first single, "Spellbound", seemed to get the band even more exposure this past summer. It received a good deal of air-play on radio stations in my area. It was a primary reason for seeking out tickets for one of their shows this summer too. Almost every song on the album plays on catchy melodies, weather they're ballads or heavier tunes doesn't matter. Lacuna Coil have taken the next step in thier musical evolution, and have presented their most accessible album yet. I dare you to play this album all the way through without getting 2 or 3 of the songs stuck in your head. The 3 day festival of music, peace, & love, that was Woodstock 1969 was a musical event like no other. A generation of music fans gathered for days to enjoy music, promote peace, and become a part of rock'n'roll history. Enduring rain, hunger, and a massive crowd for the sake of music, this throng of people was witness to one of the greatest concerts of all time. Of all the artists that performed at the original Woodstock Festival, you have voted for Jimi Hendrix as you favorite. At the time, Hendrix was at the peak of his musical career. He was also given the honor of being the closing performer for this 3-day long music festival. His performance did not disappoint. In fact it could be called the greatest live performance of all time. Certainly, his rendition of "The Star-Spangled Banner" is a one-of-a-kind performance, and still inspires some of the world's best guitarists to this day. Refer to this post for the November-December '09 Readers' Poll! In this day and age, if you have a band that's serious about recording music, and you can't find a record deal, it's still easy to get your music available for potential fans to hear. All you need to do is create a myspace web page, upload some of your songs, and who knows what can happen from there? For next month's readers' poll I'll be featuring the following bands that are either new, unsigned, or independent. They all have a myspace page with songs available to preview. I have suggested one song for each band for you to quickly listen & compare, but please listen to as many of their songs as you can... you'll see there's a lot of variety here! Then, after you've heard them all, pick you favorite & cast your vote! Enjoy the new tunes! 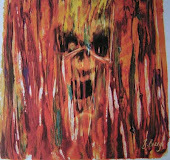 Ten With Strangers-"Gotta Get Home"
From Sword to Sunrise-"Preparation for Death"
Start listening now!! The new poll will be posted in just a couple days!